Why are photos so important? Why do they matter? There are many answers that satisfy both of these questions. Photographs show our connections to people, places, and sometimes even things. When we look at photographs, we feel an emotional response. That response is triggered by the subject of the photograph. Old sepia photographs of great-grandparents and other distant relatives illustrate our history for us. We see similarities in physical traits between the generations or family property handed down generation to generation. We imagine a little bit about these peoples' lives based on their clothing and the landscape. I grew up in a home where old family photos were on display on every spare inch of counter / mantel / wall space. I hadn't ever met most of the people in those images, but I know who they are and I know about their lives because that information was passed on to me. When stories were told around the Thanksgiving dinner table, all us children knew about the people being remembered in the stories and what they looked like. Having photos and stories of those people brought them to life for us children, and they became a part of our lives. We felt a connection to them and we all belong to the same family. Memories of days gone by come flooding in when we browse through family albums. Family vacations, holiday gatherings, birthdays, and sometimes just daily life were captured in those albums. The photographs in the family albums brought those special times with special people alive again. We again feel the connection, not only to our past, but to those who are gone and to those who are still with us. These albums show the value that was placed on family. The value we placed on each other. The photos on our cell phones have the same effect. 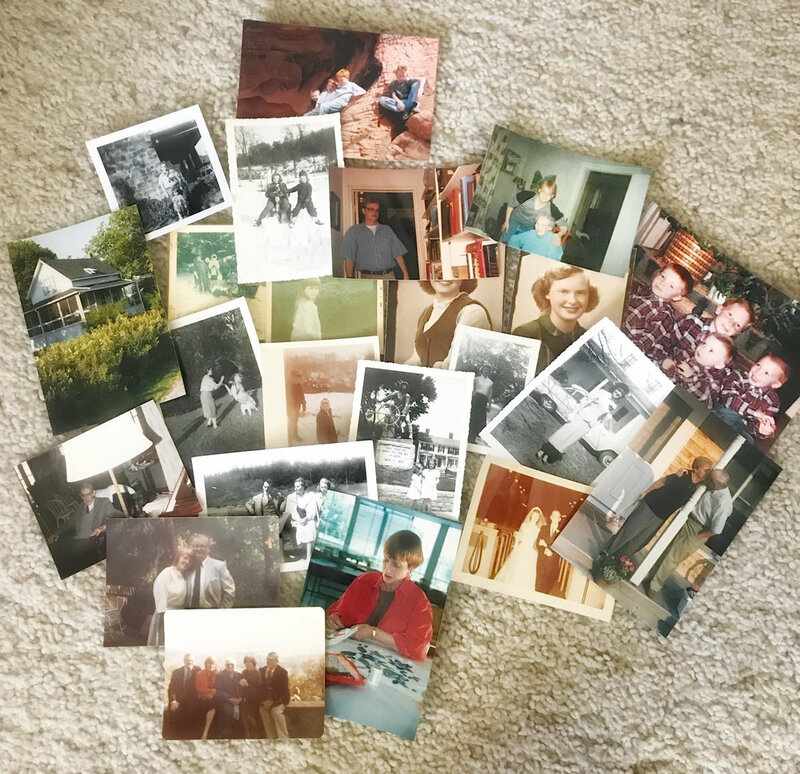 Not only do we store our family photos on our phones, we have images of items we want to purchase in stores (hello Ikea Someday Album), recipes we want to make, or Pinterest decorating ideas. We can carry all this in our purse or pocket. I encourage you to print your cell phone photos, especially those of family, friends, vacations, birthday parties, and holidays. Someday that phone will fail. All those memory triggers will be erased. There's no greater joy for a child to sit and hold actual photographs in their hands. No greater joy to go through photo albums over and over and over. As a family photographer here in Las Vegas, I am blessed beyond measure to be a part of capturing treasured memories for families. When my parents downsized, I took hold of the family photo albums and brought them back to my house. I've scanned the images onto hard drives so I can share with my brothers. Even though I'm not a kid, I AM someone's kid and I love going through the albums and touching the photos, remembering the moments, and feeling connected to those who are far away and to those who are gone. In the past week, several of my friends - from different walks of life - have lost special people. Moms, husband, Pastor, friends. Elderly, middle-aged, and very young. Some a complete surprise, no warning. My heart breaks for these families. As I pray for a divine peace and comfort for them, I pray they also have lots of photographs to hold on to, to look through, to remember with, to connect with. And that is why photos are so important. If you don't have photos of your family, contact me. Let's get your family photos taken and printed. It's not just you who will value them. When is the best time of year to do Family Portraits?